When things heat up, the breathability of the Stage is impressive. The chin bar is heavily sculpted and features a number of large ports, which translates to you never having to feel your own hot breath on your face as you grind your way up yet another climb. The strategically placed vents and channels help create internal airflow as soon as you start moving, to the point that we were able to keep the Stage on our head for extended climbs in the middle of some very hot summer days. In fact, the Stage really feels just about as well ventilated as a half shell on those hot days, which is impressive given the amount of extra coverage it provides. To sum up, the Stage is a great piece of kit that we seem to be reaching for on more and more rides – why forego the extra protection when it comes with so little downside? 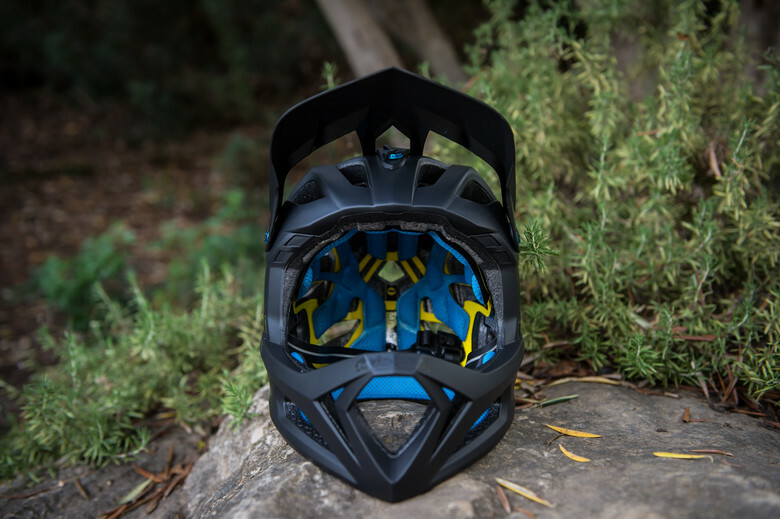 Heavily influenced by the FOX Rampage DH helmet, the ProFrame retains the overall imposing profile of its bigger brother but adds a number of vents and airflow channels to enable a whole other level of breathability. 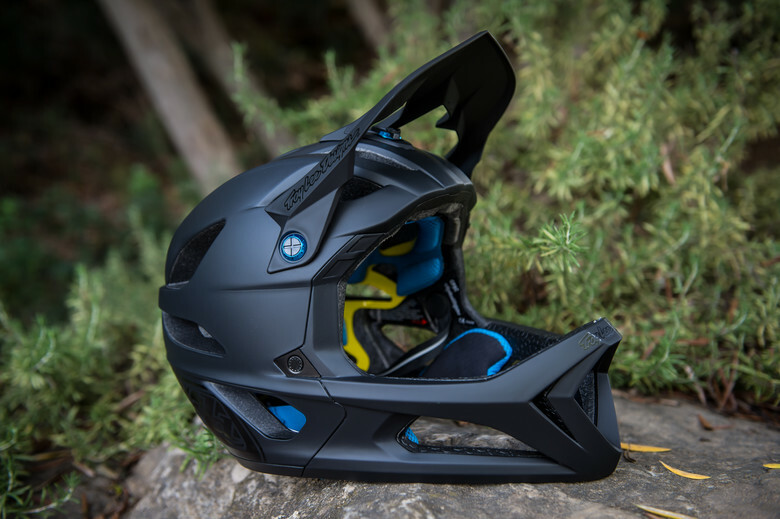 With a dual-density EPS liner and a MIPS layer, the ProFrame weighs in at an impressively light 758 grams (in size M), not far off the class leaders. It features a large, fixed visor, a FidLock magnetic strap buckle which is super easy to operate, and a soft liner closely resembling those found in half shell helmets. The ProFrame comes in one of four helmet sizes, and you get three sets of cheekpads of different thickness included in the box to help you fine tune the fit (while the extra liner is only there as a replacement, it does not modify the fit). Can someone explain the price value rating? There are some % wise big differences in prices yet all but one got a 4. If a helmet is a bit more expensive, but in our opinion offers more features and/or better quality, it can get the same price/value rating as a cheaper helmet with less to offer. It's a hard one to call sometimes and it ended up pretty close among these contenders this time. For example, the TLD costs a fair but more than the Leatt, but you get 3 cheekpads and two liners of different thickness as well as spare hardware with the TLD, while with the Leatt you only get two sets of cheekpads of different thickness and no spare hardware. We also considered low weight to be a factor in this test, so the TLD delivers value for money by being lighter. In the end, they both landed on 4 stars for price/value, even though there is a $65 difference in MSRP. I've ended up using my Switchblade a lot partially because it's warmer. I wear it as a 3/4 shell in Spring and Fall when my ears would start to get a bit chilly in my half shell. Because of that, I've found myself wearing it for a lot more than I expected when I bought it. Both my brothers have proFrames and a good buddy has a switchblade. I recently got a tld stage and i like it so much my wife has had to make rules about when and where I can use it. I’m gonna check that out now! Yeah getting in and out of the Giro is definitely more of a challenge than with the others. What about uvex jakkyl hde? We didn't manage to include that one in this test. Thanks for that! 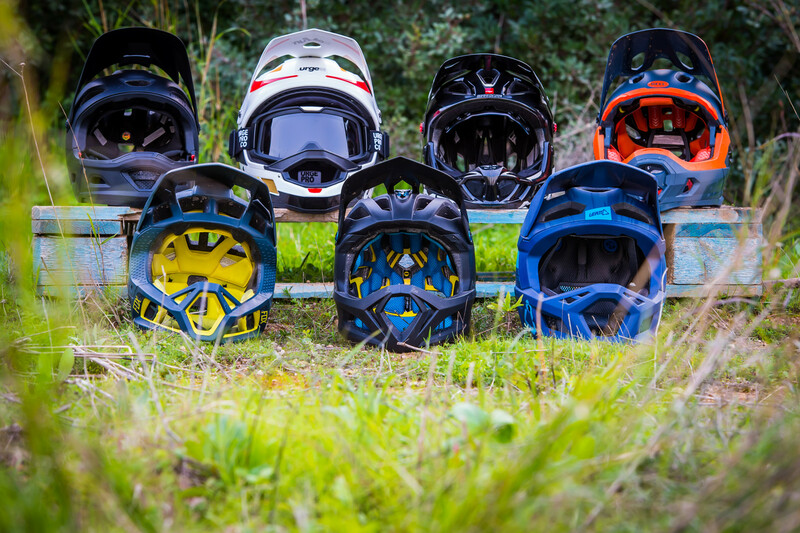 What a great write up on all these helmets, nice work Vital. Some really good product shootouts lately, bravo Vital! 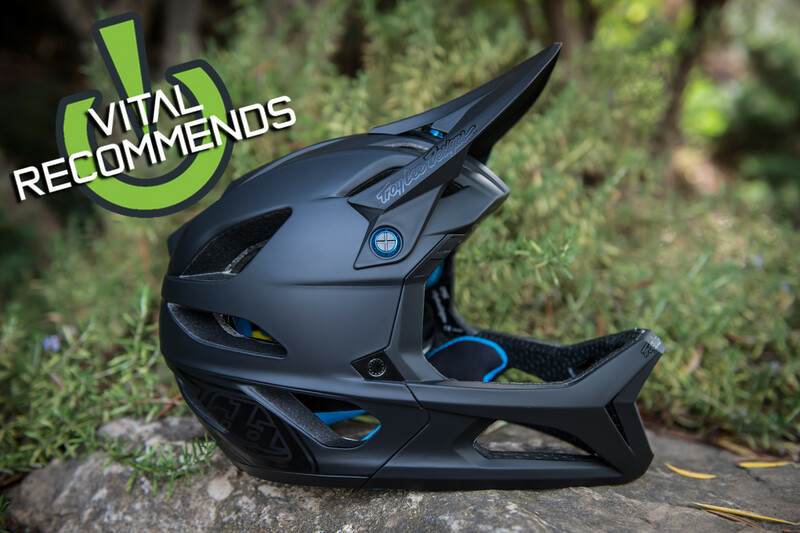 Fox ProFrame is the worst helmet I’ve ever had. Horrible design, unnecessarily bulky in areas and you swallow rocks. wonder about the Archi helmets. They look nice. Have a Bell super dh now and it’s great! I had a Proframe and now a Super DH, the Super DH has better looks and it's multi use, but the Proframe had much better quality materials. Heads up : your strength / weakness lists are jacked, and at the top the Vital Recommends: TLD Stage / FOX ProFrame is also not shown correctly. Yep, mobile is a little messed up. Not hard to figure it out though. Sorry about that, we're looking into it...thanks for the heads up! How about dem lids though eh? It is a thorough and fantastic write-up!